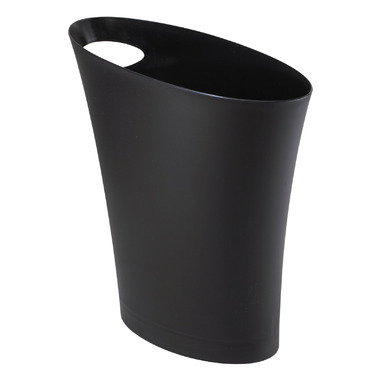 The Umbra Skinny Garbage Can is designed to fit into any tight space in your home or office. Use it in your powder room or under your desk. This product is definitely a winner! Sturdy, stylish and functional what more could I ask for. Now Iâ€™m going to order a white one for my bedside. Amazing, true to all previous reviews and a great size. Exactly what I was expecting! I love the slender design. It frees up so much space under my bathroom counter and because it's taller then my last garbage it still holds the same amount of garbage! !